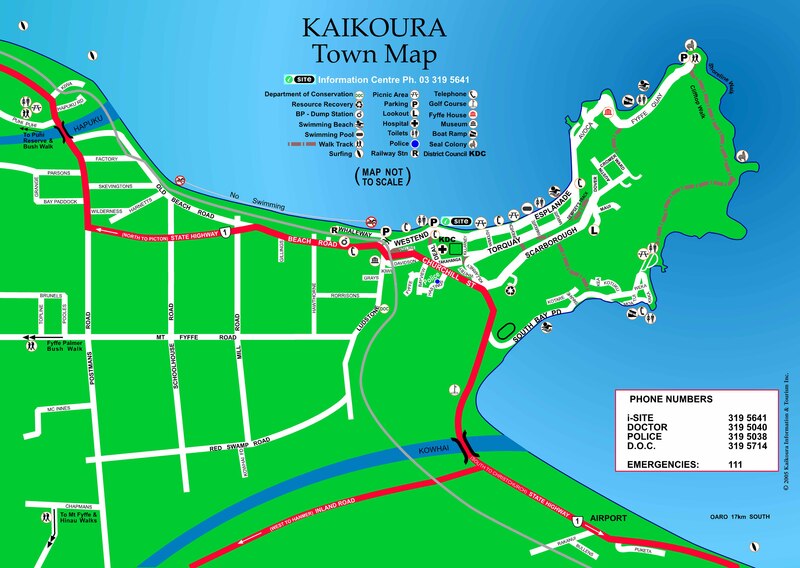 Kaikoura township is small and compact with many cafes, restaurants and tour operators within walking distance of the center. To get into the hub of Kaikoura, use the local 5 min. shuttle service. Within the Kaikoura District, visitors experience some of the most breath-taking scenery in the country with a stunning coastline, a dramatic peninsula and some of the South Island’s highest mountains. A unique ocean environment is home to an astonishing variety of marine life including seals, dolphins, whales and albatross. Kaikoura provides an unforgettable location for visitors to enjoy a combination of New Zealand’s best eco-tourism experiences, richest Maori & European histories along with both relaxing and exhilarating land based activities. Local tour operators offer the chance to watch whales, dolphins, sea-birds and many other species of marine life on a daily basis; by boat, flight and by land. With wetsuits provided, visitors can even join dolphins and seals in their ocean environment.